Hyperloop concept was first released in 2013 by Tesla and SpaceX’s Elon Musk as an alternative to high-speed rail. 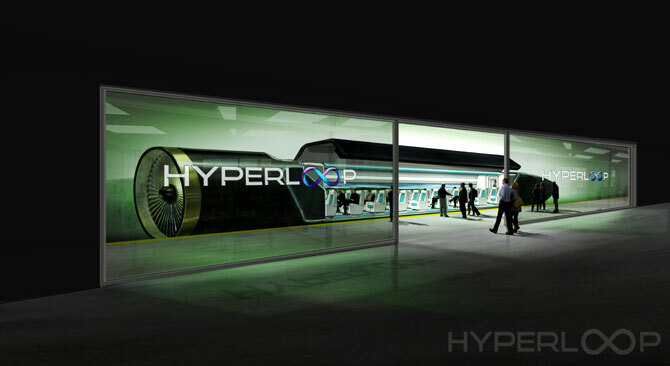 Musk said he wanted to make Hyperloop an open-source project for high-speed transportation. Several separate entities have since been formed to explore the possibilities. Musk’s white paper had the basic concept of how a pod could propel over 100,000 people at the speed of sound, from one city to another in vacuum tubes. It felt like an idea from the world of HG Wells. Within a year, two companies said they had raised money. One is Hyperloop Transportation Technology (HTT) and the other Hyperloop One - a Boeing or Airbus of the Hyperloop world. Your visit comes at a time when India is betting big on high-speed trains? Do you see a market here for HTT? We are here primarily to speak to your politicians and see if there is a real interest in solving the transportation problems of this country. The population density and the lack of infrastructure are two primary reasons to look at India as a market. India is talking about implementing new ways of transportation. You have been talking, for years, about high-speed rail. I believe, this could be the worst thing to do. It is obsolete technology and it will be a burden on the next generation. India doesn’t need to repeat the mistakes of other countries. And high-speed rail is a mistake. These high-speed rail systems mean you spend too much money and can’t recoup the investment. What do you mean by mistakes? Please explain. I was talking to the Chinese rail authority officials before I came to India. They said they had to speed up the line three times because the system had reached its maximum capacity on certain routes. Above 600 kmph, there is so much resistance in the air that it becomes liquid. The amount of energy you need to increase the speed depends solely on how much energy is pushed in. That is expensive and doesn’t work in the long term. How does Hyperloop change that? 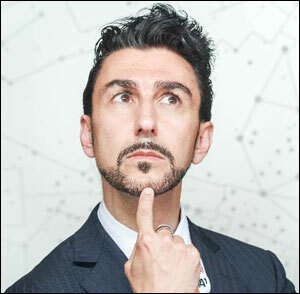 When you talk about Hyperloop, there is no air. So there’s no resistance. Theoretically, you can go at the speed of light. We can build the system with a sixth of the budget of high-speed rail, using a fraction of energy. The way we produce energy is interesting: solar panels, wind, regenerative energy and in cases where solar is not possible, we will use geo thermal. This means, we will produce 30 per cent more energy than we consume. Hyperloop effectively becomes a giant power station that also happens to transport people. But is India a viable market? In Mumbai and Bengaluru, it took a better part of a decade to get simple Metro lines ready. The best place to build a Hyperloop is underground but right now because we don’t have the technology, we will build it on pylons. Building on pylons means we can take advantage of the right of way that already exists. We can use existing infrastructure to give us an entry and exit into the city. It has miles and miles of right way. If needed, we can start building it now. We have already analysed two potential corridors in the country. What about the displacement of the local population? That is one of the big reasons why projects get delayed here. Right now, when we build a railway of highway, we make a barrier. Farmers cannot pass to the other side, neither can animals. It is disastrous. Building on pylons takes it all out. The way we build it, the pylons can resist an earthquake with magnitude of 9 on the Richter scale. We put a pylon every 60 meters and don’t block the road. The pylons are made in a way that the electricity produced by the Hyperloop can be given out, it can collect water, we can bring electricity and bandwidth. We increase the value of the land. India can be a good country to build that. Instead of using a technology which needs high maintenance cost, we can build something cheap and clean. There is no expense to run it because there is no friction or mechanical parts. You have been accused by various media outlets of being too secretive about your designs. You haven’t even released the results of the tests. What you see right now on the internet is not what will emerge. Why won’t we give out our designs? We have another player in the market and we don’t want to give them anything they can copy. They came in one year after us and that’s what they do. You will see us releasing some designs at a time where it can’t be used against us. But what about testing and prototypes? We are building the prototype right now. We hope to get a few permissions in February for our project in LA. In 2019, we should have our first ride. This we could foresee. What we could not were our parallel projects. We signed two big deals: one in Slovakia and the other we haven’t announced yet. Internet is full of speculation that the second deal is in Dubai? I won’t give you the name. But it could be a country which could see the first Hyperloop system in the world. 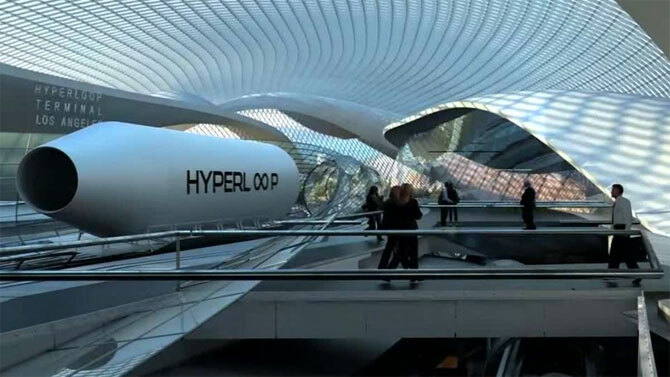 Image: Passengers entering the Hyperloop. Do you see any Indian partnerships on the horizon? We have hired 14 people in India who are discreetly working for us. We will announce details of these partnerships soon. We believe India could be the focal point for engineering and computer programming. We are doing a call to action for all companies that want to join us. We have 600 people working for us in 52 countries. But they will come on as consultants, not acquisitions. Acquisitions are also on the table. We want to create a sustainable company. We don’t want to use exhaustible resources as unlimited ones. If you had to build a high-speed rail system between two cities in the US, you will need to keep the mines occupied for 24 years, at 99 per cent of capacity. And imagine transporting steel to the site because it can only be welded on site. This is not sustainable or smart. We don’t want to be builders. We seek to make local partnerships to help us build our system. Maybe in phase two or three we might go there. But right now we just want to be a platform. We want to be Disney. Concord started with a similar ambition of reducing time of travel but it retired in 2003. How do you stop HTT from becoming another Concord? Concord did two things wrong. One, it was expensive and polluting. Two, it was a blackhole for other service providers. Airlines make money of business class and first class passengers. They pay a premium so the rest of them can pay less and travel. If you take away the first class passengers, the airline industry collapses. We don’t do that. We are complimentary to others. Not a replacement. In fact, Lufthansa and BMW sponsor most of our events. We are not a threat to them. We are better than them.